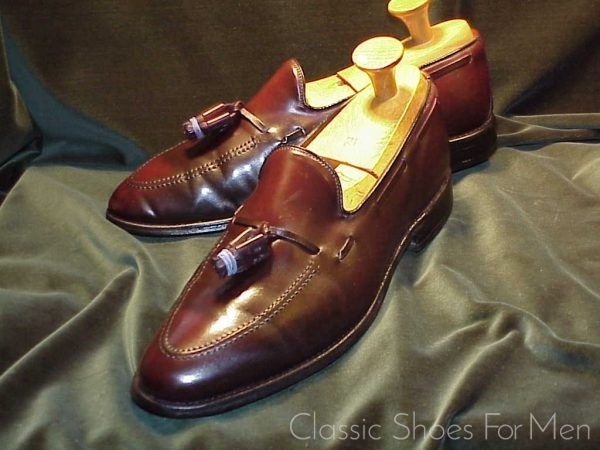 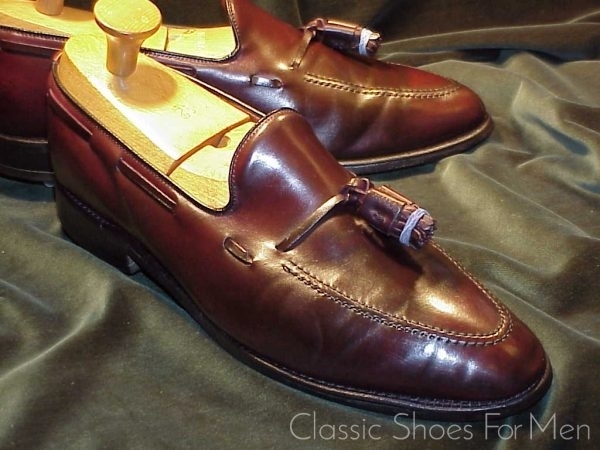 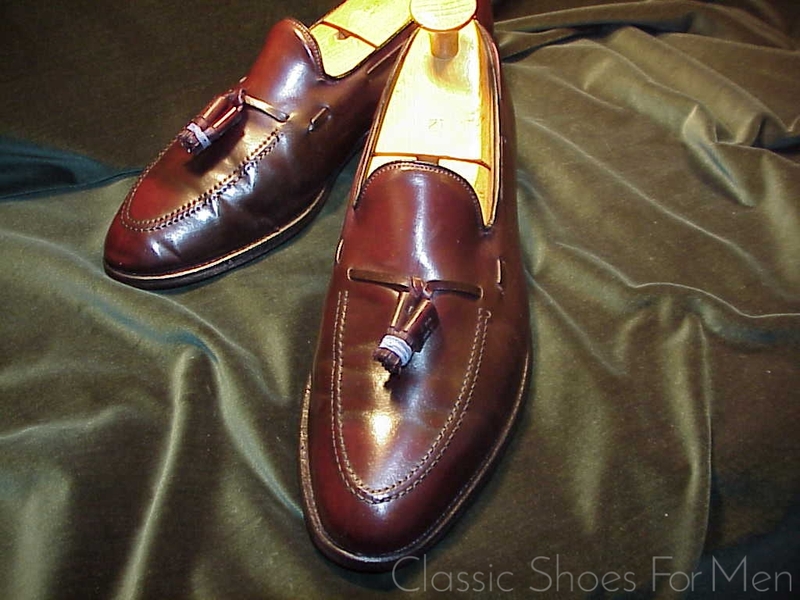 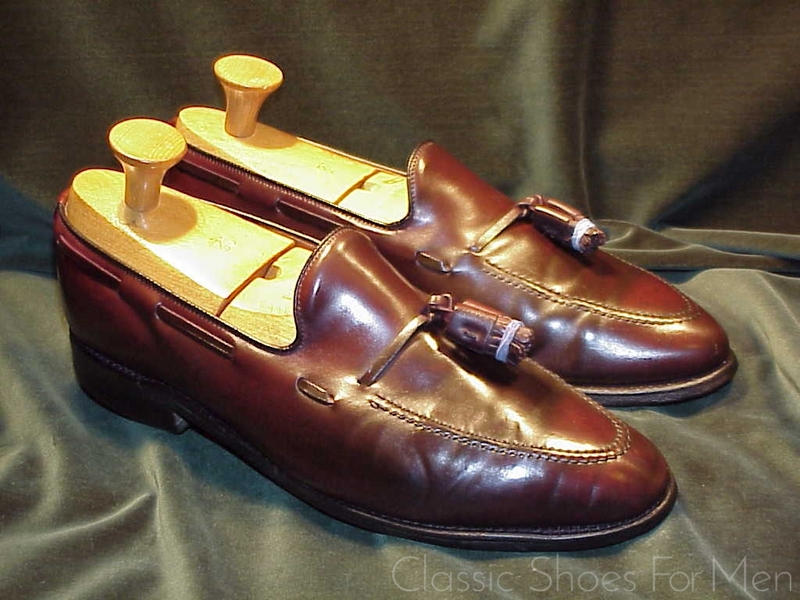 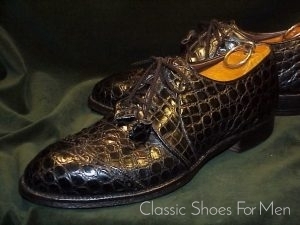 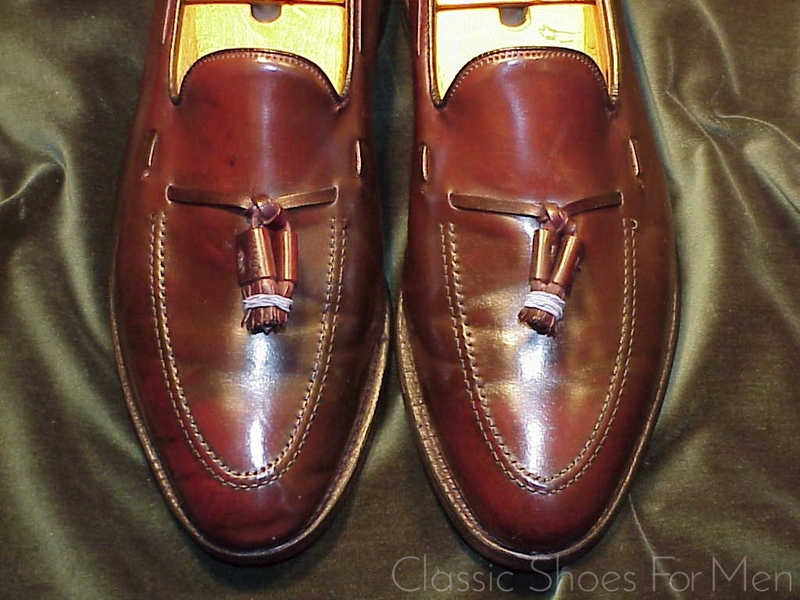 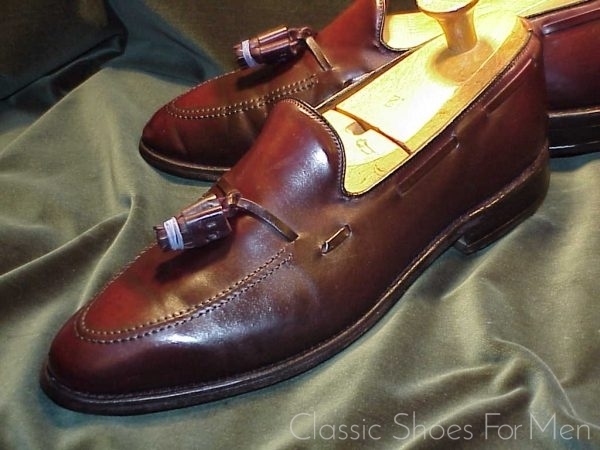 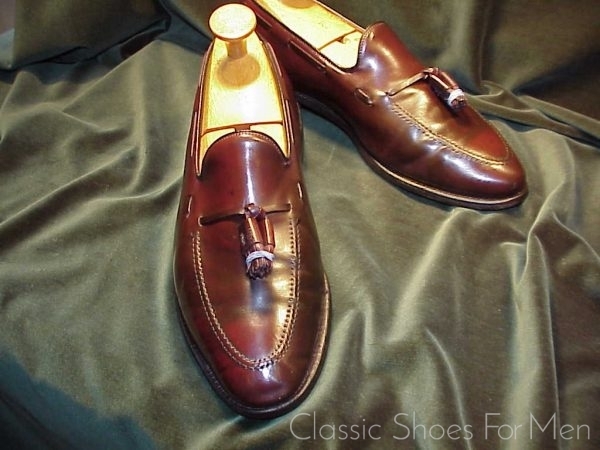 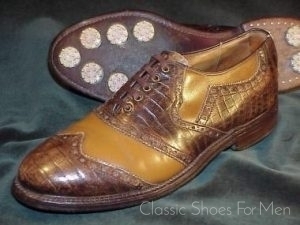 Es handelt sich bei dem angebotenen Paar um einen klassischen “Tassel Loafer” aus Pferdeleder, rahmengenäht, von Allen Edmonds, der Schoenwetter-Schuh des Gentleman. 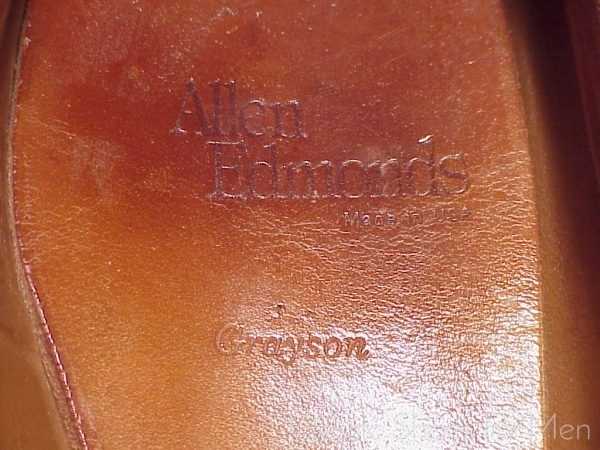 Eine Standard-amerikanische 10.5 D(US).....9.5 E (UK) (eine deutsche 44D) fuer den mittel-breiten Fuss. 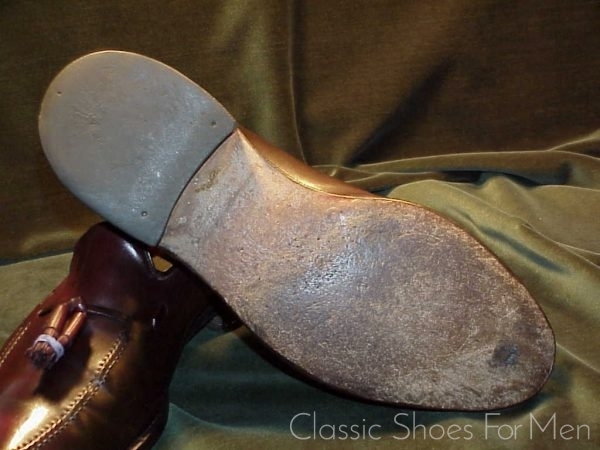 generally good with recently restored bottoms lightly worn. 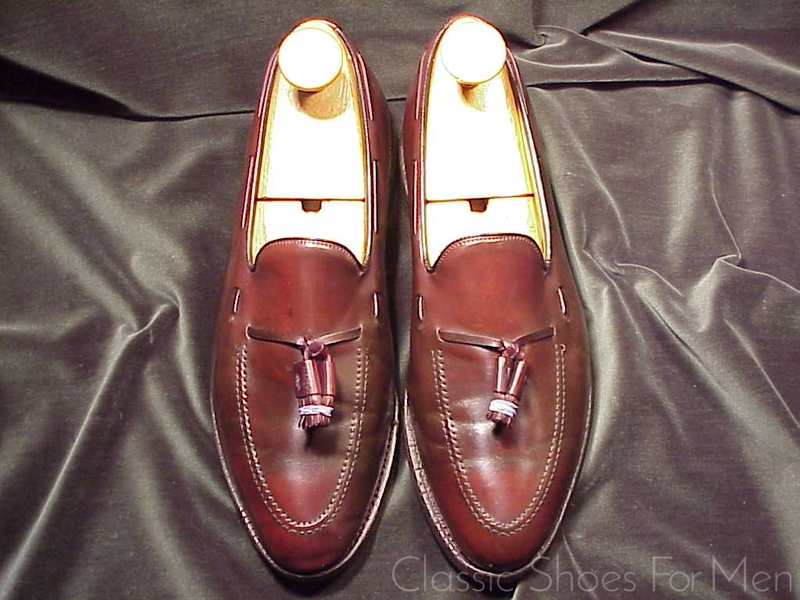 This classic Allen Edmonds Loafers is the long-time standard gentleman’s Shell Cordovan loafer, ideal year-round, a casual and sporting shoe in the modern tradition. 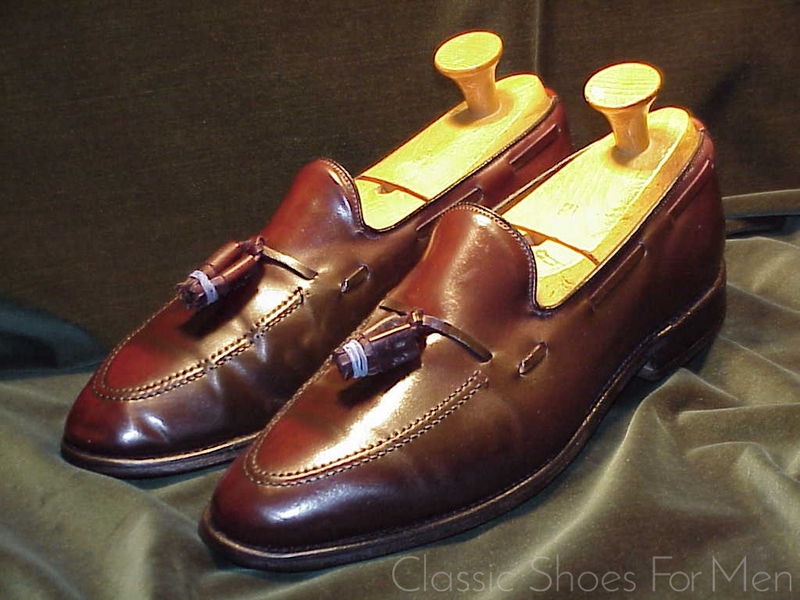 An extremely well made and long-lasting shoe and a great and uncontestable classic, among the most versatile and useful styles for your collection. 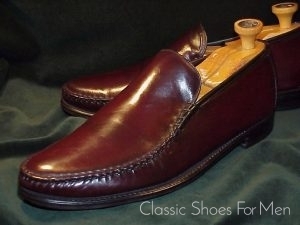 Goodyear welted. Ce pair est la pointure 10.5D, Américaine.....9.5E Anglais,..... soit 44D l’équivalence française.